Chatham County is a county located in the Piedmont area of the state of North Carolina. Based on the 2010 census, the population was 63,505. Its county seat is Pittsboro. It was named in honor of William Pitt, Earl of Chatham who was a most eloquent defender of the American cause in the English Parliament during the Revolution. Chatham was formed in 1771 from Orange. The act became effective April 1, 1771. It was named in honor of William Pitt, Earl of Chatham who was a most eloquent defender of the American cause in the English Parliament during the Revolution. It is in the central section of the state and is bounded by Wake, Harnett, Lee, Moore, Randolph, Alamance, Orange and Durham counties. The present land area is 682.85 square miles and the 2000 population was 49,329. The act establishing the county provided for the courts to be held at the home of Stephen Poe. It also named commissioners to have a courthouse, prison and stocks erected. In 1778 a town was established on the land formerly belonging to Ambrose Edwards where the courthouse was. This town was named Chatham. Chatham Court House is mentioned in correspondence, 1776-1782. In 1785 a law establishing Pittsboro on Miles Scurlock 's land on which the courthouse stood was enacted. In 1787 an act was passed stating that the heirs of Scurlock would not allow a town to be established on their land. Therefore, the trustees of the town were advised to purchase land from William Petty adjoining the Scurlock tract and lay out a town. It was named Pittsboro in honor of William Pitt, the younger. 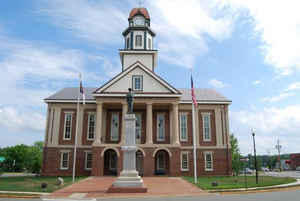 In 1787 Pittsboro was made the county seat. As reported by the Census Bureau, the county has a total area of 710 square miles (1,800 km2), of which 682 square miles (1,770 km2) is land and 28 square miles (73 km2) (3.9%) is water. The county lies totally within the Piedmont physiographic region. The topography of the county is generally gently rolling with several higher hills rising above the general terrain. Much of the eastern part of the county lies within the Triassic Basin, a subregion of the Piedmont. Much of the bedrock in the county is volcanic in origin and formed during the Triassic period (hence the name). The Triassic origins have led to the formation of coal deposits in the southern part of the county. The Boren Clay Products Pit just north of Gulf in extreme southern Chatham County is a place where Triassic flora fossils persist. The volcanic origins also led to the creation of high amounts of metamorphic-based rocks in the county. 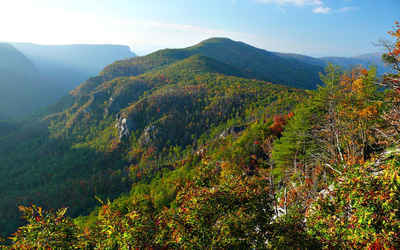 The county lies on the Carolina Slate Belt. Soils in the county are mostly clay based and have a deep red color, as do most soils in the Piedmont. Groundwater in the county is generally full of minerals and tends to be "hard" if not softened. Mineral-based water was the attraction at Mt. Vernon Springs during the latter part of the 19th century and the early part of the 20th century. Chatham County contributes funds to, but does not govern, K-12 public education and the community college system. The Chatham County School System is governed by its own elected board. There are three public high schools: Northwood in Pittsboro, Jordan-Matthews in Siler City, and Chatham Central in Bear Creek. Chatham is home to two charter schools - Woods Charter School and Chatham Charter High School. Chatham Charter High School is a grade K-8 public school. The school is located on 2200 Hamp Stone Road in Siler City, NC.